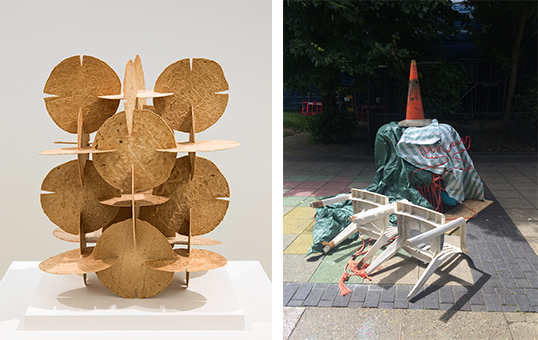 This summer, the South London Gallery presents Under the Same Sun: Art from Latin America Today, an exhibition of Latin American art produced in collaboration with the Guggenheim Museum as part of the Guggenheim UBS MAP Global Art Initiative. 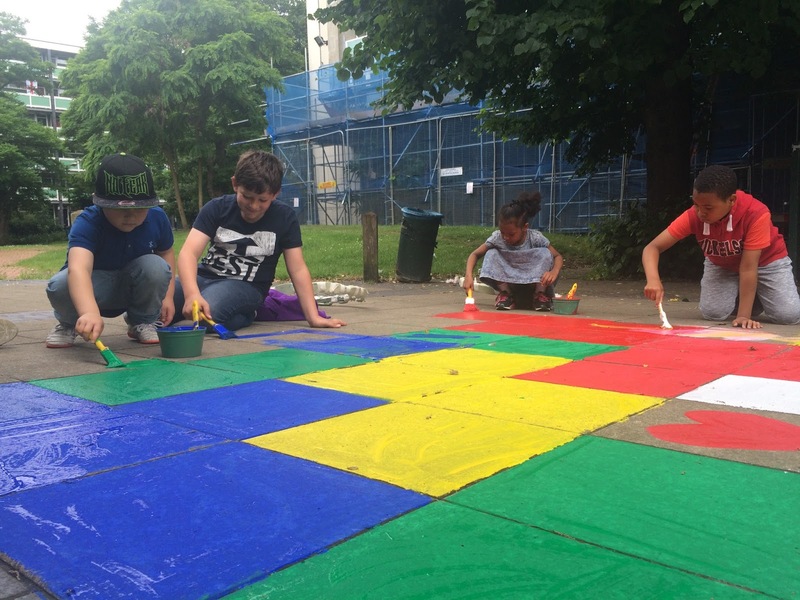 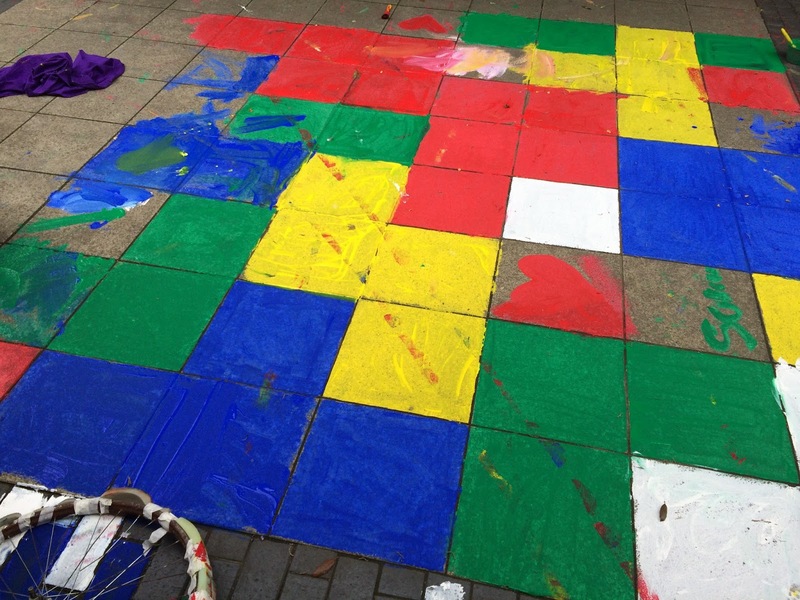 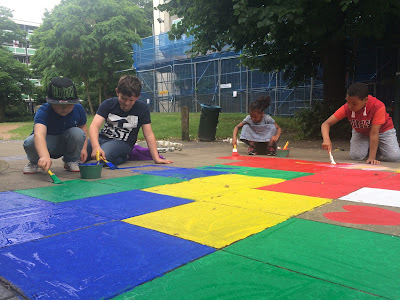 On the first Saturday in June, we picked up our paintbrushes and produced a collaborative temporary mural on the floor outside the Shop of Possibilities, inspired by Federico Herrero's commissioned mural on the playground on Pelican Estate. 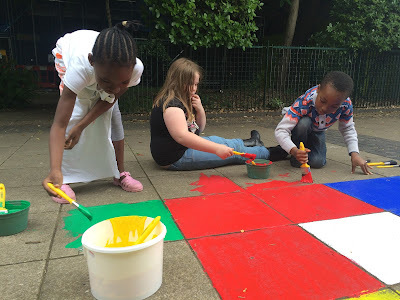 As the mural gradually got washed away in the following days, it became a perfect site for inventing new games, hopping from one coloured square to another during a pillow fight! The following weekend, we built a drum kit inspired by Carlos Amorales' We'll See How Everything Reverberates...then we spent the rest of the rainy afternoon making lots of noise! 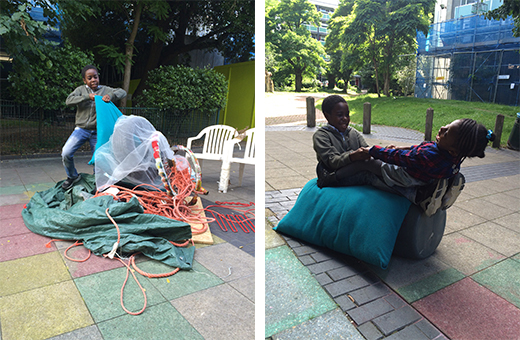 The Playworkers started off another session by building a teetering tower of balanced objects, stacked carefully to echo the tortillas in Damian Ortega's Tortillas Construction Module. 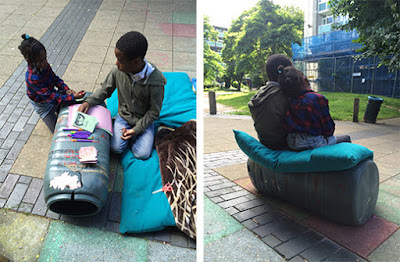 Throughout the afternoon, children deconstructed the stack, taking objects and re-appropriating them for their own play: the barrel became a ship, a table and a comfy sofa. 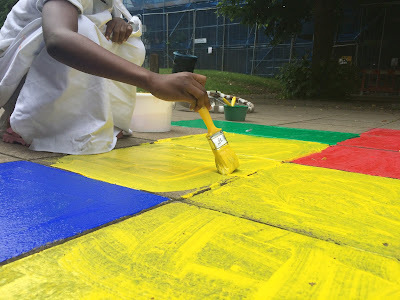 On the final Saturday in June, the temporary tattoos produced as part of Under the Same Sun were put to good use as we set up the first ever Shop of Possibilities tattoo parlour! Check back next month for July's roundup of Under the Same Sun-inspired play!